RAPID CITY, S.D. (NewsCenter1) –Advisement, awareness, advocacy – the actions of a national movement are taking root in South Dakota. The A-Team, a special needs advocacy group, launched its Rapid City expansion with a voter registration rally at the Black Hills Works Gymnasium on Monday. 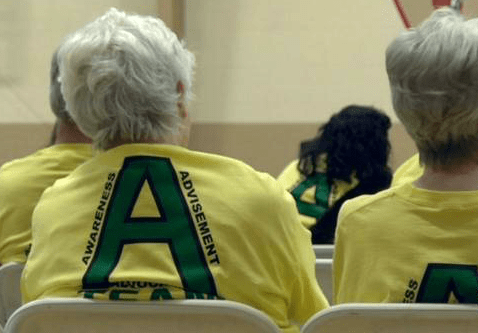 Supporters donned smiles, signs, and yellow A-Team shirts as organizers discussed issues affecting people with disabilities’ rights. The focus was on upcoming changes within Black Hills Works that will relocate jobs and living quarters for employees of special needs groups. They also discussed the potential consequences of the upcoming Rushmore Plaza Civic Center arena vote on the June 5 primary election ballot. Speakers stressed making change through communication. 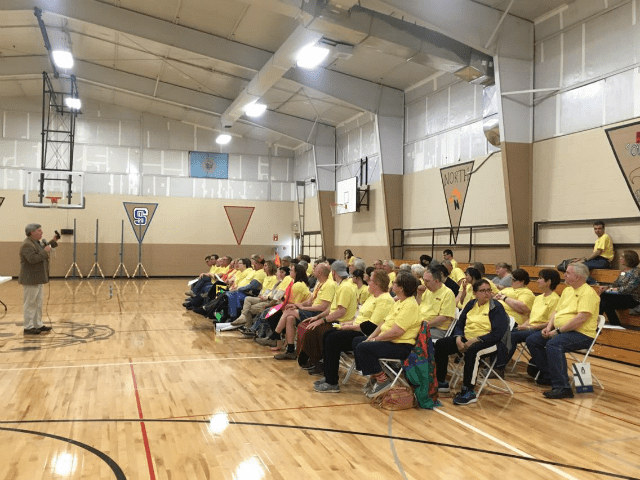 A-Team advocates learned how to impact communities by sharing their personal stories and speaking up for the rights of people with special needs. With experience, members can serve their clients by advising them on how to self-advocate. Bret Whitmore, a parent of a special needs child, said that the advocacy group empowers the voiceless with their own personal champions. Representatives from both major political parties also assisted with registering voters. They encouraged members make their voices heard by calling and talking with government officials.